Knowledge Transfer Ireland (KTI) was launched on Wednesday, 28th May 2014 by Minister Bruton and Minister Sherlock at the Convention Centre Dublin. 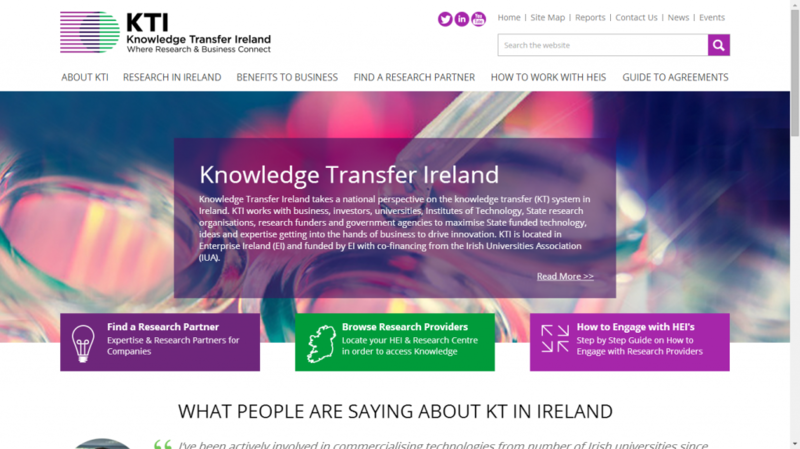 Knowledge Transfer Ireland (KTI), the first resource of its kind in Europe, is now the State-funded central technology transfer office. It works with all stakeholders in the Research & Development arena – businesses, Universities, Institutes of Technologies, State research organisations etc. This is to ensure State funded technologies, ideas and expertise are maximised, getting them into the hands of business, to drive innovation. It is operated collaboratively by Enterprise Ireland the Irish Universities Association. Located in Enterprise Ireland, it is directed by Dr. Alison Campbell. 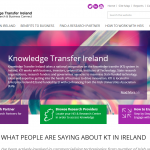 Search facilities on their new website – www.knowledgetransferireland.com – will enable you to find very useful information under each of these above headings. You can follow KTI on Twitter @KTIConnect. If you require any further information please don’t hesitate to contact IRDG or KTI directly.